Depending on your age, you, or your Dad/Mum/Uncle/Auntie/Pa/Granny/etc may have some optical treasures lurking in an old trunk in the attic. Or maybe they are in that closet that threatens to engulf you with old boxes when you open the door. You may be a thrift shop devotee that spies an old photographic bargain, or a successful hunter at a trunk sale / swap meet / market. However you come across a legacy lens (also known as a vintage lens) and if you have a mirrorless camera, or a Canon DSLR; with an appropriate adapter, you will be in for a treat. These lenses often have a character that is not available in our pristine, sharp, and contrasty digital lenses. What is a legacy lens? For the purposes of this blog post we can say that a legacy lens is an older, manual focus, lens designed to fit an interchangeable lens camera that takes the old 135mm format film (otherwise known as 35mm film). There are some exceptions, of course; but if it fitted a Canon, Nikon, Olympus, Minolta, Pentax, Contax, Yashica, Praktica, or Zenit SLR 35mm film camera, then you can most probably use it on your mirrorless, or Canon DSLR camera. What is Flange Focal Distance and why do I care? That’s the distance from the back of the lens that butts up against the camera (the one that it’s supposed to fit) and the film, or sensor. Again there are exceptions; but if the Flange Focal Distance (FFD) of the legacy lens is greater than that of your digital camera, you will most probably be able to use the lenses on your mirrorless, or Canon DSLR camera. Why can’t you put these lenses on Nikon DSLRs? Well, that’s because Nikon has one of the longest FFDs of any of the modern digital cameras. That’s great for mounting old (post 1959) Nikon G lenses straight onto newer DX (crop sensor) and FX (full frame) DSLR bodies, but the other brands noted above will not fit. There are options for Pentax users, as well as some other camera manufacturers, but for the sake of both brevity and clarity, I will stick with only mirrorless and Canon DSLR options. In fact, you will find this article weighted with MFT and Zuiko references, as they are my weapons of choice most of the time. However, the concepts and comments work for mirrorless and Canon EF/EF-S mount cameras as well. My digital lens is sharp and clear – why would I want a legacy lens? If you are a photographer who enjoys using those vintage lens filters on your smartphone app, you will probably want to read on. If you are a photographer that loves tack sharp and contrasty photographs every time, or if you do not wish to manually focus, then you may like to read another post on this blog instead. Legacy lenses, in the main, will not match the sharpness, contrast, flare reduction, or chroma/colour filtering capabilities of a good digital lens. To be honest, that’s the appeal of them. 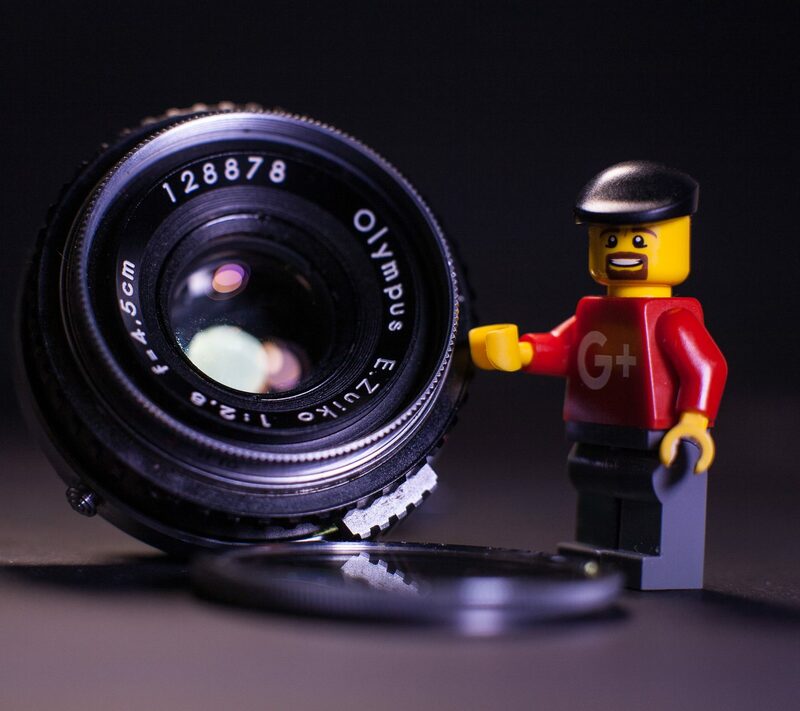 The Toy Photographers community on Google+ had a very popular Wabi-Sabi themed Photo Challenge last year. It allowed photographers to embrace the imperfections in their photography and even to use it as a style choice. Many old lenses are a little lacking in some of areas I referenced above, and that gives the resultant images a retro feel, vintage charm, or wabi-sabi appeal. 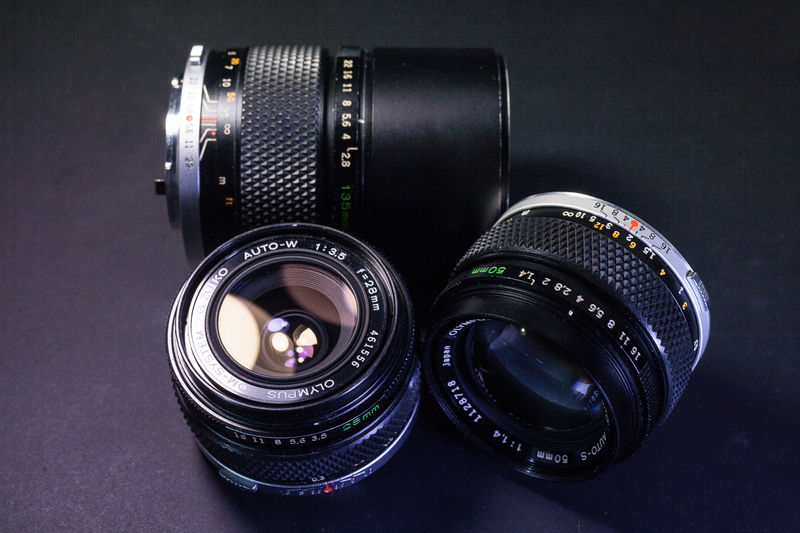 Before you read on, why not drop by Joseph Cowlishaw’s post about vintage lenses, to get a look at the sort of results you can get from legacy glass? You’ll see how pleasing old wabi-sabi lenses can be. 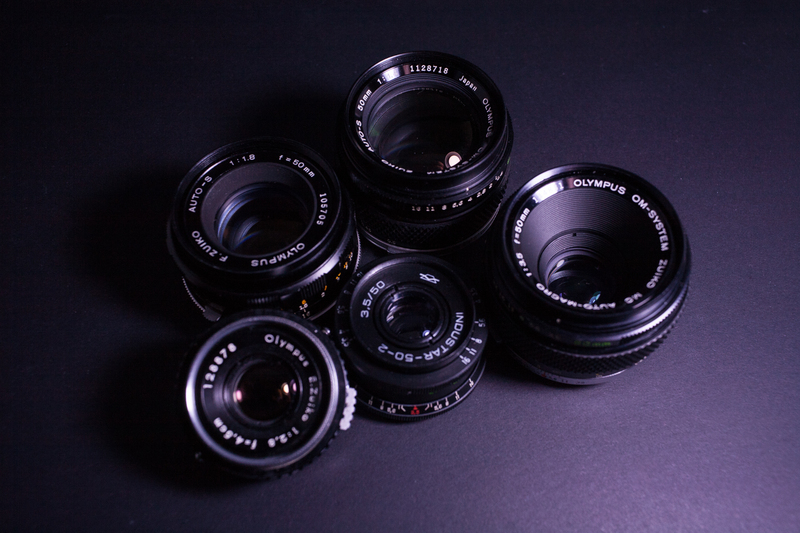 The most popular lenses for 35mm film cameras were what we call ‘standard’ lenses. Generally they were 50-58mm focal lengths and often came bundled with an SLR camera body. Once a photographer decided to spread their creative wings, they would normally look to purchase a wide angle lens (most likely a 28mm) and/or a portrait or telephoto lens (135mm, or 200mm). 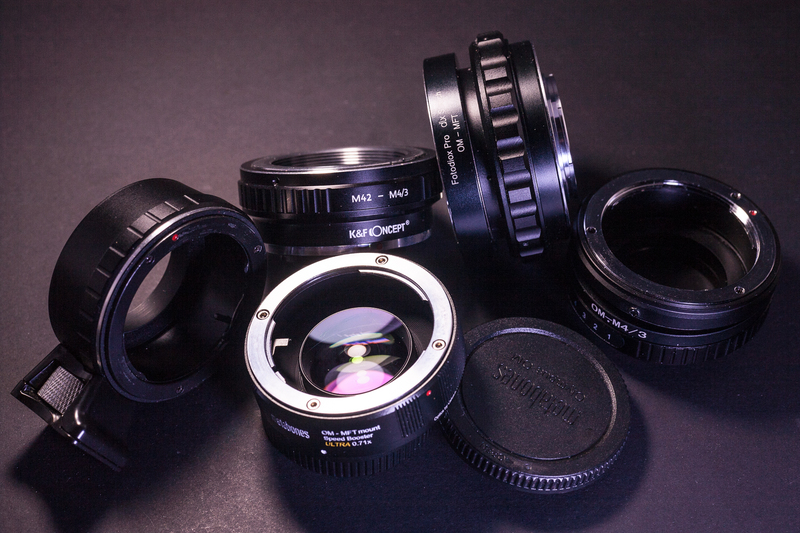 You will find a huge range of 50mm, 28mm, and 135mm lenses online, or at camera markets. You should pick them up for a very reasonable price, or walk on (most of the cheaper options will be between US$40-80). It’s anyone’s guess what you will get them for at a thrift shop, but they often have only US$5-10 on them. Also, they are the most likely prime lenses that will be found in an attic or closet. Zuiko OM 50mm f1.4 (at f5.6) with a 25mm Extension tube. As the 1980s progressed reasonably priced zoom lenses began to appear on the market. They were often generic brands that would have customised mounts to fit many of the popular camera brands of the time. Soon the camera manufacturers were following suit and the affordable zoom lens was often the ‘next’ lens to buy instead of a wide, or telephoto prime. 35-70mm, 70-210mm, and 80-200mm were very popular focal length ranges during this time. Many of these models had what was labelled as a ‘macro’ feature, that often more closely resembled a closer focussing distance at the telephoto end. Magnification rarely exceeded 0.2x on these models and macro officially starts at 1x magnification (although many legacy macro lenses are only 0.5x without an extension tube). Zooms had the versatility of a flexible focal range, but often fell short on image quality and maximum aperture values. In the main, they should not be considered equivalents of today’s zooms. These are far superior to their old counterparts. If you have a zoom in the attic, by all means have a play with it for your toy photography, However, if you are in the market for a legacy lens, I would recommend you stick to prime lenses of a fixed focal length. There are few zooms that will match even a basic bundled 50mm lens, in terms of image quality and light gathering capability. I would also recommend looking out for camera brand lenses rather than generic. Although there are some nice generic branded prime lenses out there (Tokina, Sigma, and Tamron were quite reasonable). In some cases certain models of generic zooms were better than the early camera manufacturer’s models. If you come across reasonably priced prime macro lenses (labelled micro by Nikon) either genuine, or the generic brands above, they deserve a special look at. 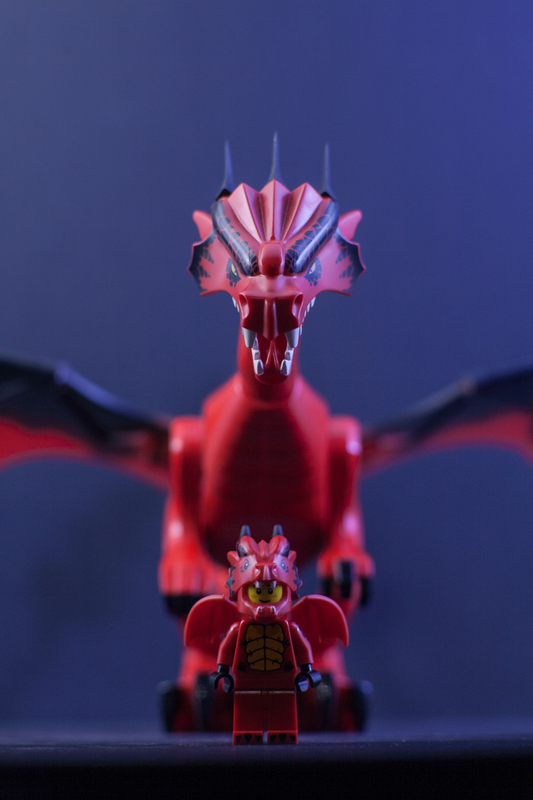 Serious macro lenses (prime lenses with a magnification of 0.5x and above) are just the ticket for toy photography; and if you find one, you will find many uses for it. They are designed for close focus distances and often have fine focus capabilities and superior edge sharpness, as compared to regular prime lenses. Unfortunately macro/micro lenses command a premium price no matter whether they are digital, or legacy. They generally have slower maximum apertures when compared to regular prime lenses. I personally do not see this as a problem, as most of my toy photography images are taken between f4.0 and f8.0. Zuiko OM 135mm f2.8 (at f4.0) with a 25mm Extension tube. Most cameras will need an adapter to use legacy lenses. The easiest way to find out whether there is one to fit your camera/lens combination is to type a search query into an online auction service, retailer, or search engine. For example, if you have an old screw mount Praktica lens and a Sony mirrorless camera then try M42 to NEX adapter. Before you know it, you’ll be spoiled for choice. Most adapters are around US$10-20 as all they are is metal plates or tubes. Like everything, there are exceptions: some adapters require lens elements or special mechanics. I feel you are better to spend more for better glass, and/or better build quality. In this case I’d suggest you ask around on the forums, or seek advice from those you trust. Some lens adapters have built in helicoid focus rings that can extend 6-8mm and act as short extension tubes. They are more expensive, but are rather handy. If you are going Nikon to Nikon, or Pentax to Pentax, you may not need an adapter at all. One of the issues with non-macro prime lenses is closest focussing distance. A rule of thumb is the wider the focal length, the closer you can focus. For example the images below are from a 28mm, 50mm, and 135mm lens all at their closest focussing distance. The 28mm can focus at 0.30m (12″) the 50mm at 0.45m (18″) and the 135mm at a not so close 1.5m (5′). Combined with the relevant angle of view of each lens, these lenses are only appropriate for scenes, or larger toys such as 6″ and 12″. As you can see below, both the 28mm and 50mm fill the frame with a 6″ dinosaur but the perspective is a little off because of the distance between camera and subject. The 135mm has nice perspective but cropping would be needed for a more tight composition. There are two easy ways around this, and the equipment to achieve them may even be in that trunk in the attic. They are close-up lenses and extension tubes. The first, close-up lenses offer a better closest focussing distance, but the distance range is pretty well set to the individual close-up lens and often only fractions of an inch of movement can be achieved. I have one that will allow the 135mm to focus to 0.4m (16″) but there is little room to move. The image quality also tends to drop, especially at the edges. 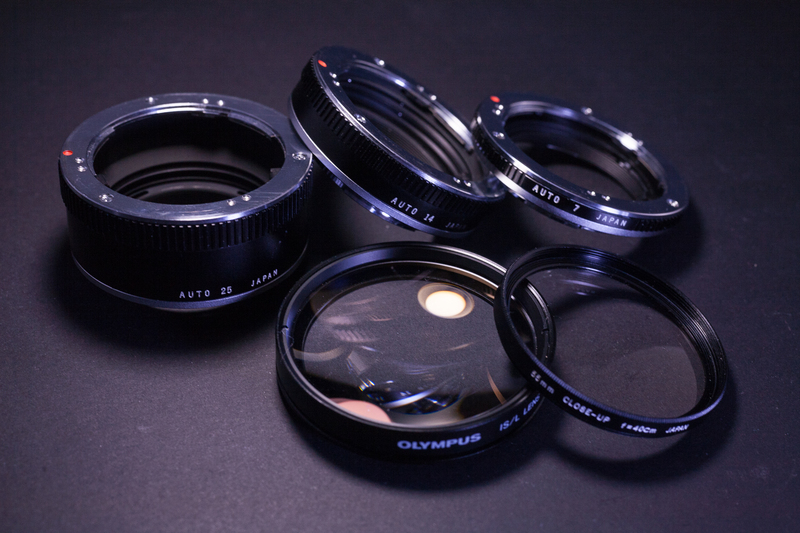 A two, or three lens unit (often called an achromatic lens) is an improvement, but they are not that common, and are more expensive to purchase. I personally find the second choice a better option, and that is extension tubes. They generally come in sets of three and are extremely well priced if you need to pick some up. I bought a set of 7mm, 14mm, and 25mm tubes for less than US$20. The 25mm will allow the 135mm to focus down to 0.75m (2’6″) and the range back past the original 1.5m is covered by all three as individual units. This works very well for the T-Rex in the images above, and the tubes work very nicely for Lego Minifigures when added to the 50mm lens. The 25mm tube on the 50mm lens usually gives an impressive 0.5x magnification. The tubes can be used individually, or in combination, but be aware that, the longer they are, the more light you lose. A lens hood for each lens. This will maximise the contrast in these lenses and reduce lens flare. In addition try keeping the light source to the side or behind you to avoid or minimise the problems. Old lenses suffer from neglect. Front and rear elements get scratched and dirty; haze and fungus can creep in between elements; aperture blades can lose oil and coat elements; and mechanical parts can seize. Be aware of this and purchase or clean accordingly. Most old lenses are uneconomical to repair or internally clean and attempting to do this yourself is fraught with danger. I believe the only maintenance that should be attempted by a non-trained person is front and rear element lens cleaning; but it’s your lens, do what you like with it. Check adapters for metal shavings or burrs around the flat surfaces. The last thing you need is a sensor coated in little bits of metal. The adapters should easily mate with both camera and lens. Forcing them may necessitate costly repairs. Adapters with tripod mounts are a good idea, especially with heavy lenses. They take the weight off your camera lens and tripod mounts. However, they can be a little uncomfortable to use when handholding. Depending on the mount type of the lens, it may not be able to stop down from maximum aperture. Some adapters get around this by either having a stop down mechanism, or its own aperture. Most old lenses will not have electronic contacts for exposure so you will need to set your camera to either Manual exposure (M) or Aperture preferred automatic (A) to compensate for the manual aperture setting. Be careful of older autofocus lenses. It is unlikely they will work electronically and may even damage the electronics of your camera (again, seek advice for your choices). If there is no manual focus ring, you may not be able to focus at all. Autofocus lenses started to appear in the 80s but the majority of legacy lenses around are manual focus. When focussing open up the lens iris aperture to the maximum (the smallest number) to focus, then stop down to the aperture you want. This will ensure the most accurate focus. Remember that full frame sensors will utilise the lens focal lengths the same way as a 35mm film frame. Perspective, angle of view, and depth of field will be as the lens manufacturer intended. However, I have conducted tests on MFT, APS-C, as well as full frame sensors, and the lenses I used (from 24mm to 300mm) have worked well on all three. Therefore I cannot really say any sensor size is better than another, although with full frame I do like to be able to use the lenses as they were intended. With crop sensors you suffer from not having a ‘wide’ end of your lens range, but that rarely bothers a toy photographer. The higher the crop factor the more you will want to progress towards wide angle lenses. I found the 28mm works well as a ‘standard’ lens on both MFT and Sony APS-C. Add a 7mm extension tube (or even better, a helicoid adapter) and it is extremely versatile for toy photography. The 50mm, plus any of the three extension tubes individually, works well on these sensors for close-up or detail shots. 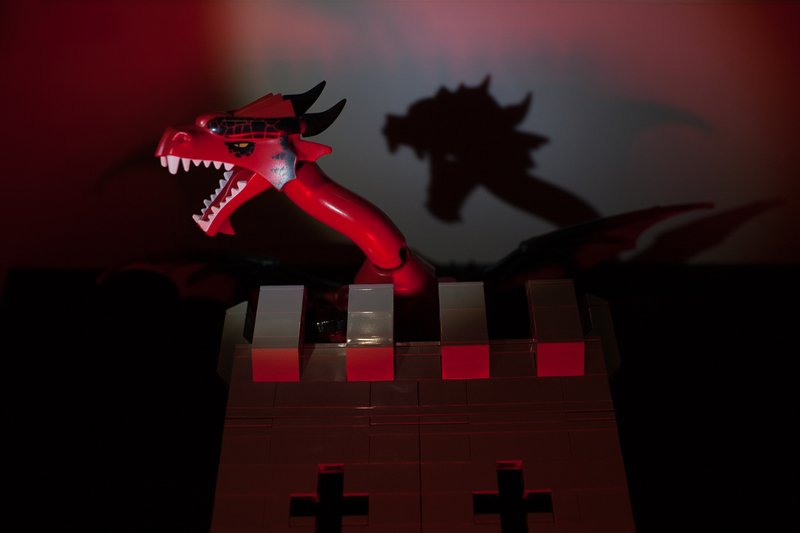 I feel the 135mm is best left to full frame sensors as far as toy photography is concerned. Don’t let these vintage beauties flounder in the trunk in the attic. There is a lot of fun to be had for zero, or only a small cost. There will be need for experimentation and you may get a higher percentage of failures than you are used to; but when you do get it right, you will be rewarded with images filled with unique character and style. Excellent written piece and thanks for sharing. 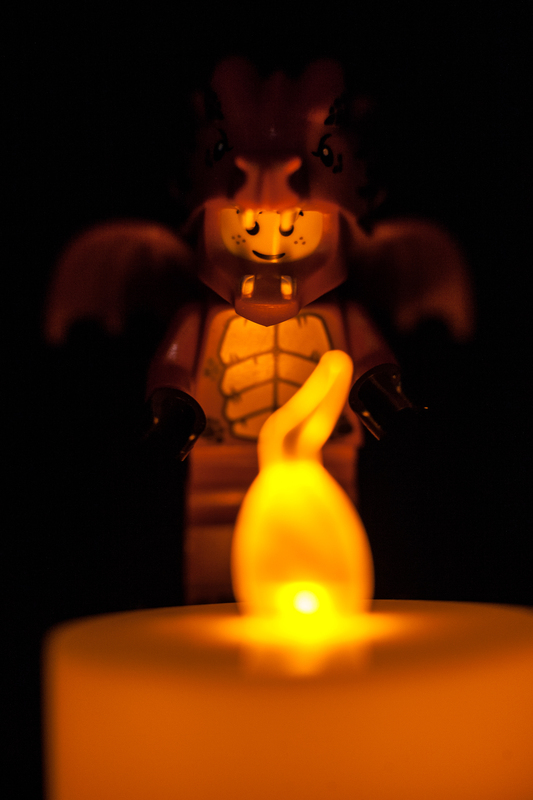 I been using a Sony a6000 and extension tube for my Lego photography. Nice! i love using odd lenses, the first lens i was using (after the kit lens) on my a6000 was the Pentax 50mm from my old film camera. and still use and love it more than some of the Sony native lenses that i have tried. Thanks Janan. I hope the ‘play’ you had on Sunday has inspired you to go ahead with the idea. Cheers Ryan. Extension tubes are such a great way to get extra flexibility out of your lenses. Joshua: starting early, I like it. Pentax do wonderful lenses. I have a soft spot For the 50mm f2.0 that came with the K1000. Beautiful piece! I’ve got some old Canon lenses tucked away in the loft. Might dust them off now. Thanks. Wonderful! I’m glad the post has rekindled your relationship. If they are FD lenses then, depending on the host camera, you will find adapters between US$10-50. Sony FE/NEX, MFT, and EOS-M are a simple tube adapter. Canon EF/EF-S is a little different. You can by a mount with optics, which will decrease quality, or one without that will not allow infinity focus. Either way I feel it’s worth the money to have a play. Awesome post Tony. Ive already sent a few people here to read this because it acts as a great place to start. I will go search for some old canon lenses I have around to see how I can make this work for me. Then when we meeting September you can answer even MORE of my questions! Thanks for much for sharing your knowledge with the community! Shelly: thank you for the support by allowing me to post on this subject. It really opens up a whole new creative channel and allows you to shoot at a different pace.